Here's this month's haul! I'll start with the less exciting stuff. I'm going to get this one out of the way first because I'm not going to be using it. 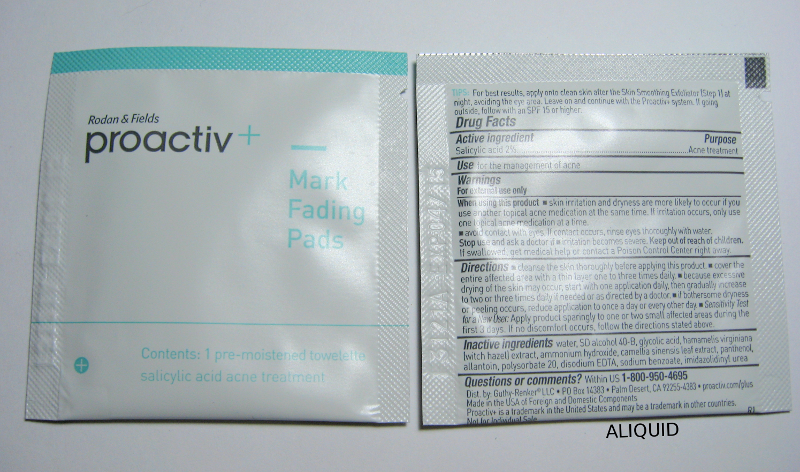 I got four Proactiv Mark Fading Pads, which are supposed to exfoliate and fade acne scars. 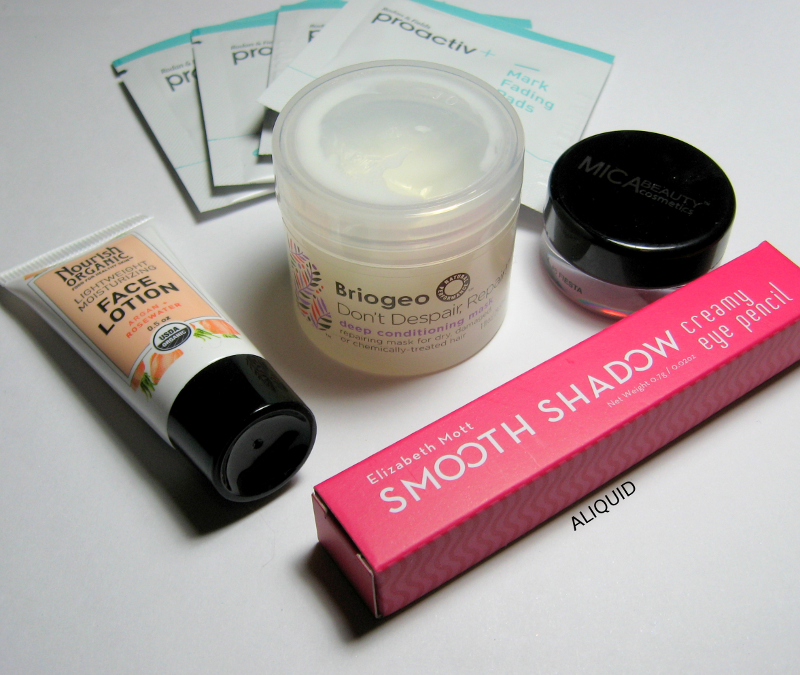 The active ingredients are salicylic acid and glycolic acid (i.e. BHA and AHA). These are good chemical exfoliators, but the reason I don't want to use these pads is because they contain alcohol, which is very very drying. No thank you! Plus you can get AHA/BHA in thousands of other (cheaper) forms. 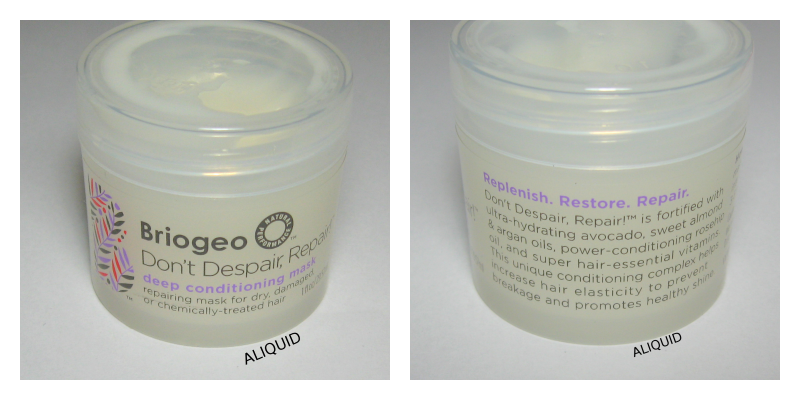 This is a deep conditioner meant for damaged or chemically-treated hair. I'm not really the target audience for this, since my hair is pretty healthy (or so my hairdresser told me) and I don't color it or anything. But it had some nice-sounding ingredients like avocado oil, argan oil, and biotin, so I gave it a try. You just leave it in your hair for 3-5 minutes after shampooing and then rinse it out. My hair did feel noticeably softer the rest of the day, but it didn't look any different. I was afraid the conditioner would make my hair really heavy and greasy, but it left only a little more residue than my normal conditioner leaves. Unfortunately the nice soft feeling went away the next time I washed my hair. Maybe I need to try this more than once to get a lasting change? I won't be buying more of it to find out. First off, I have to say I'm baffled why this is called a lip balm. It doesn't have the luxurious feel of a balm--in fact it feels pretty dry--although there are a couple moisturizing ingredients in it (propylene glycol and mineral oil, not the most appealing stuff). It's really more of a lip stain. It IS very pigmented though; only a few dabs were enough to color my lips fully. It also seemed to be pretty durable, although I didn't wear it for very long. [Update: Over 12 hours after writing this, the swatch is still visible on my arm!] The color is a little too pink for me, and I wish they'd sent me the neutral color. I'm not very adventurous when it comes to makeup, except on my nails! This eye pencil can be used as eye shadow, eyeliner or highlighter. I'm by no means an expert on eye makeup, but I do think I'll use this one again. 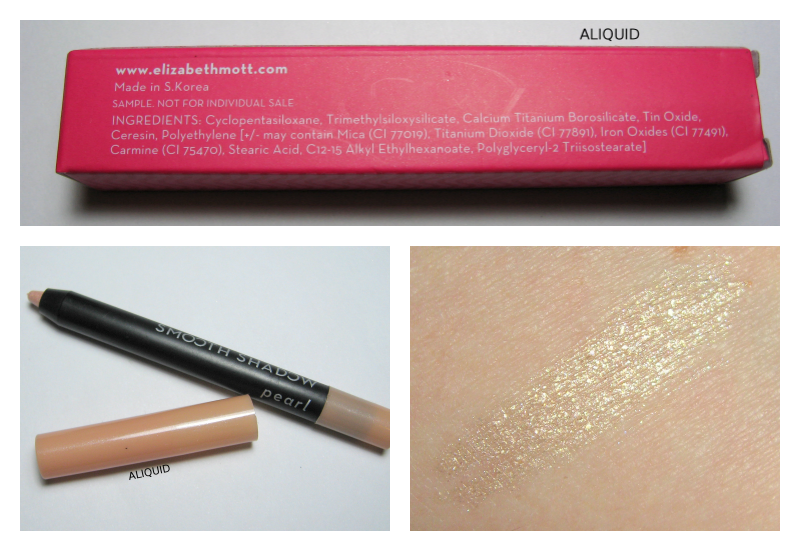 It applied smoothly and it wasn't too pigmented on the first swipe--this is good for me because, again, I'm pretty conservative with makeup! It does have a nice amount of sparkle, so I'd probably wear it for a party or formal event. This was my favorite product in the bag. 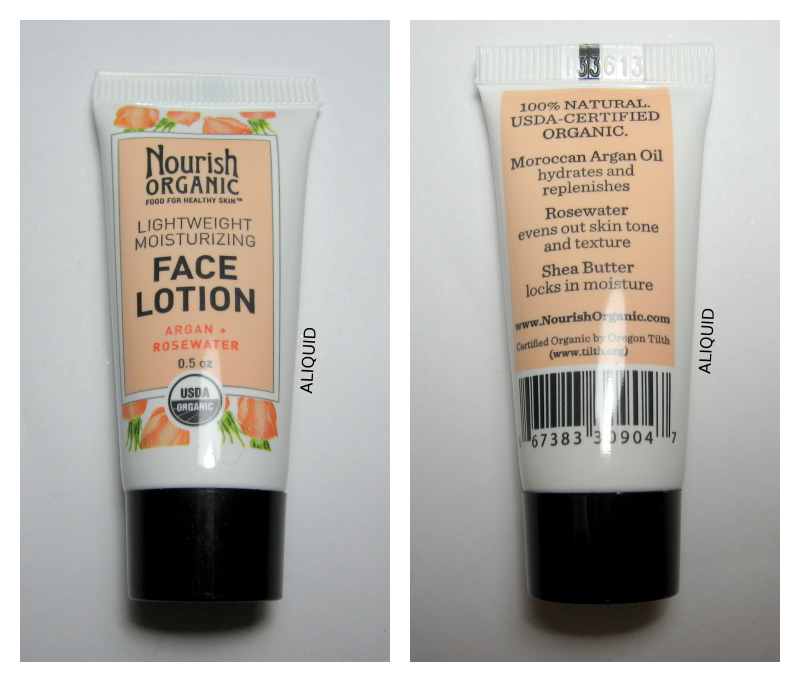 It has a really nice list of ingredients, including aloe, shea butter, argan oil, cupuacu butter and almond oil. And it really is lightweight--I could barely tell I was wearing moisturizer! There is no trace of greasiness with this stuff. I don't think there's any added fragrance; the smell is very natural. The only downside to this lotion is I think it's a little too light for winter--I still had some dryness after using it. I'll definitely come back to it in the summer, and might buy a full-size tube. The thing I like about Ipsy is that you can give them feedback on each product you receive, which they supposedly use to choose your samples in the future. So I'll be interested to see what they send me next month! Nice review on this month's bag! I have the ipsy bag every month and I love it. My bag this month was completely different from yours. I see that online some. I will need to look up some of the products you received and try them out.